We at Project Moonbase say “Oh dear me, no” to communism but “Oh golly, yes!” to Cosmic Commie Concrete. Yes communism is a filthy habit but somehow despite the oppression, rotten cars and interminable queuing, a few brave souls managed to create some of the most brutal, space-aged, constructivist concrete confections ever, ever, ever. It’s architecture, but not as we know it. 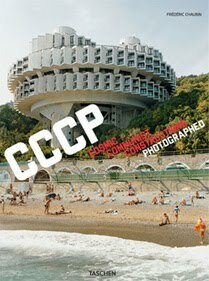 This entry was posted in new release, WANT and tagged architecture, Communist, concrete, futurism. Bookmark the permalink.